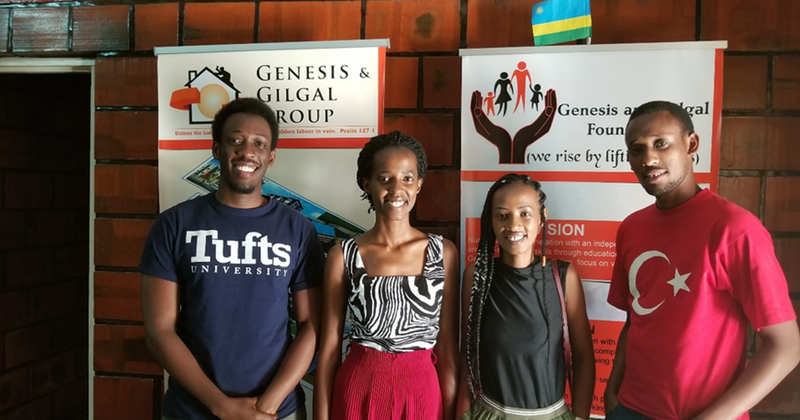 The purpose of my internship at Genesis and Gilgal Group (G&G) in Rwanda is to learn how architecture can heal communities within developing countries. In Rwanda, a country with one of the fastest growing economies in the world, there is a great opportunity to grow the country more sustainably through architectural design. There is no doubt that infrastructure can be influenced by religion, culture, and economics. G&G Group works to promote human rights through creating healing designs in their architecture. As dictated by the accomplishments of G&G group projects, the practice of good architecture improves sustainability in the country. My current focus is to learn about the policies that should be considered when designing and building healing projects. During the first week, I traveled around the country visiting work sites of G&G projects. I visited the Ntashyo irrigation plant in the Southern Province. This is one of the few irrigation projects carried out in Rwanda, with an objective of lessening poverty by improving agriculture. The irrigation plant was empowered by the Rwandan Government for human rights purposes. I also had the opportunity to visit two churches where G&G implemented their design. Taking this challenge into consideration, the Rwanda housing board established a new housing system in Rwanda in 2010. The housing system requires citizens in the countryside to move into a certain location to facilitate construction/housing security and where they will have access to public services such as water and electricity. This housing system was in response to the community’s need to easily access public services. Kigali, the capital of Rwanda, has also established what is called ‘Kigali Master Plan’, which serves a guide to the City’s urban development. The Master Plan will be used as a reference to improve how infrastructure serves the people. The director of G&G Group, James Ngarambe, is one of the architects who designed the Kigali Master Plan. I look forward to gaining more construction insights from him. According to his definition of architecture, it is a process of design and construction which incorporates the impression of beauty, considers its surrounding and embraces functionality. I believe that the practice of good architecture is essential to improving human rights.